I make these photographs to show the faces of men and women and children who find their way across these borders to service this economy based on massive consumption. In a flat world, the only frontier left to conquer may be the empty space inside of ourselves, and for some reason, we try to fill that space with goods and entertainments. The millions of migrants who come to do the work also settle this frontier. 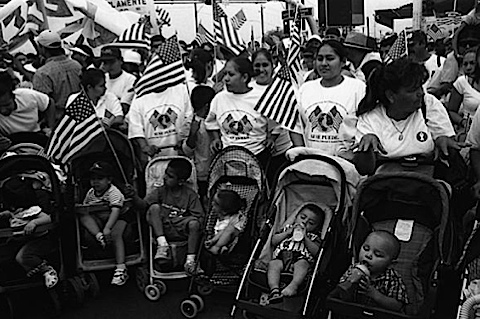 They are the fathers and mothers of the new Americans. Blood will tell. –J.C. Julián Cardona, born in Zacatecas, Mexico, was a small child when his family moved to Juárez. He attended school there, received vocational training, and worked as a technician in a maquiladora (a foreign owned factory), where he earned the money to buy his first camera. 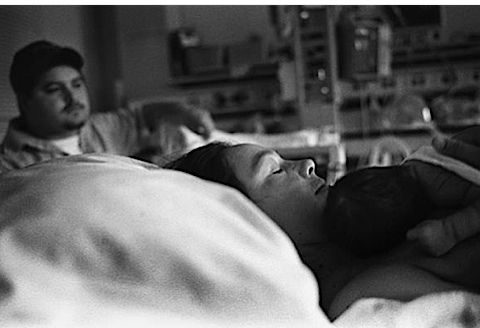 A self-taught photographer, in 1991 he moved back to Zacatecas to teach beginning photography at the Centro Cultural de Zacatecas. Two years later he started his photojournalism career at the publications El Fronterizo and El Diario de Juárez. 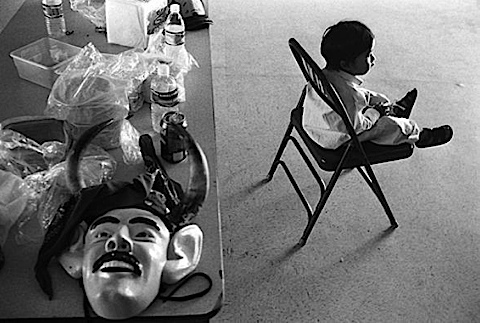 In 1995, Cardona organized a group show called “Nada que ver” (Nothing to See), which contained the work of photojournalists who document the daily violence, death and poverty that accompanies life in Juárez. 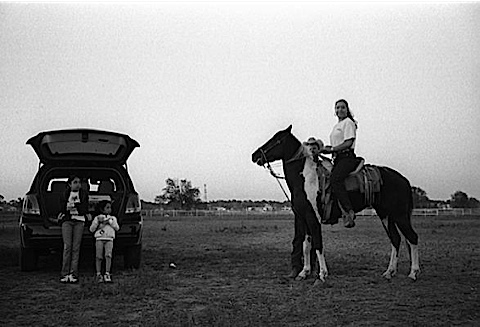 Photographs of that show were featured in Harpers Magazine in 1996. 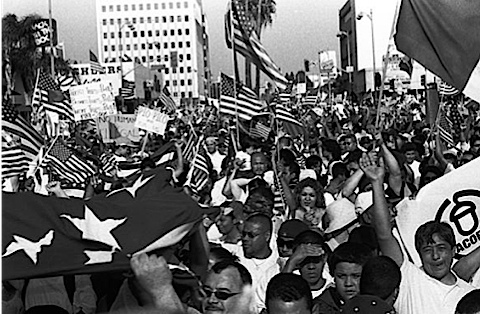 In 1998, Mr. Cardona’s work appeared in the book Juárez: The Laboratory of Our Future, which features essays by Charles Bowden, Noam Chomsky, and Eduardo Galeano. 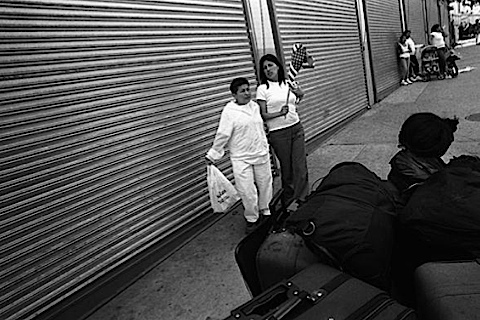 Mr. Cardona’s photographs of the interior of maquiladoras in Juárez were also published in Aperture No. 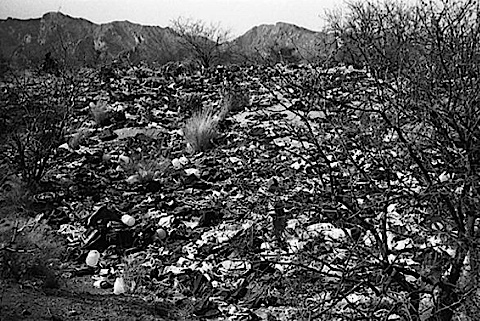 159, “Camera of Dirt.” In 2008, the Lannan Foundation organized an exhibition, also titled The History of the Future, of photographs by both Cardona and artist Michael P. Berman, accompanied by an essay by Bowden. The exhibition traveled to the Santa Fe Art Institute (2008), the North Dakota Museum of Art (2009), Blue Star Contemporary Art Center (2009), Ohio Wesleyan University (2011), and Tulane University (2011). A selection from the show is now on view at the Nation Institute. Mr. Cardona’s photographs have been featured in exhibits in Mexico, the United States, and Europe.